Elizaveta Petrovna Glinka (Russian: Елизаве́та Петро́вна Гли́нка, also known as Dr. Liza (Russian: До́ктор Ли́за); 20 February 1962 – 25 December 2016) was a Russian humanitarian worker and charity activist. She was honoured three times with state awards for her work. Glinka died in the 2016 Russian Defence Ministry Tupolev Tu-154 crash. Glinka was born in Moscow. Her father served in military. Her mother Galina Ivanovna Poskrebysheva was a doctor, as well as a TV presenter and writer of cookbooks and encyclopedias. She studied at the Russian National Research Medical Institute in Moscow, graduating in pediatric anesthesiology. In 1986 she emigrated to the US, where she studied palliative care and became involved with the work of hospices. On returning to Russia, she worked at the First Moscow Hospice, after which she moved to Ukraine. Glinka's first charity project began in 1999, when she opened the first public hospice in Kiev, Ukraine. She later founded the VALE Hospice International fund based in USA and served as a board member of the Vera Hospice Charity Fund in Moscow. In 2007 she founded a humanitarian NGO Spravedlivaya Pomoshch (in English, "Fair Aid" or "Fair Help"). The organisation works to support terminally ill cancer patients and underprivileged and homeless people by providing medical supplies, financial aid and other essential services. In 2010, the organisation collected and distributed aid for victims of forest fires and in 2012, for those who lost their homes after floods in the Krasnodar region of Krymsk. On January, 2012 Glinka along with 15 other media figures and opposition activists including Boris Akunin, Leonid Parfyonov, Yuri Shevchuk, Lyudmila Ulitskaya, Dmitry Bykov and Sergey Parkhomenko founded the League of Voters as a reaction to the 2011 protests against the election results. Their declared aims included observance of electoral rights, organizing mass marches, training observers and publishing lists of election commissions, including black lists. Shortly after an unplanned tax inspection arrived to the offices of Fair Aid. As a result, all financial assets were frozen for a period of time. On February, 1 they were unblocked, and the Fund continued its work. 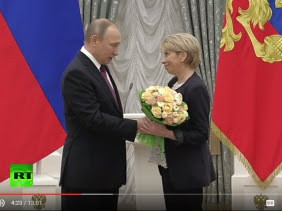 Same year Glinka became a member of the federal civil committee of the Civic Platform and supported Mikhail Prokhorov during the 2012 Russian presidential election. Since November, 2012 Glinka was a member of the Russian Presidential Council for Civil Society Institutions and Human Rights (HRC). With the outbreak of the War in Donbass Glinka became involved with evacuating sick and injured children from territory held by pro-Russian separatists. She moved them to hospitals in Moscow or Saint Petersburg, where they could receive medical attention. It has been estimated that she travelled more than 20 times into conflict zones, and saved about 500 children. Children were moved across the state border without permission from authorities, leading to accusations of child abduction from Ukrainian government officials. Glinka's response was that politics was irrelevant in matters of life and death. Her organisation was also active in providing medical supplies, equipment and food to hospitals in Donetsk and Luhansk, however Glinka complained that the customs checks for their convoys of trucks were slow and onerous and delayed delivery of the supplies. 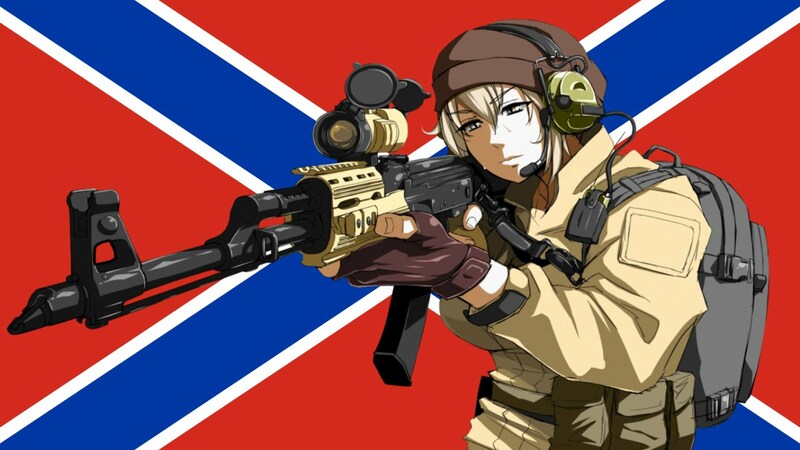 Despite NATO's claims that Russia was supplying heavy weapons and regular troops to the pro-Russian separatists in Ukraine, Glinka said that she didn't see Russian troops in Donetsk and that there was a civil war going on. She also delivered medication to the Ukrainian pilot Nadiya Savchenko during her hunger strike while imprisoned in Russia. Glinka was also known for her anti-euthanasia stance; in October 2016 she commented on the Dutch draft bill legalising euthanasia, stating the proposed law was "demonic". Glinka and her work were the subject of a documentary film by Elena Pogrebizhskaya. In 2012 Glinka received the Order of Friendship award, and in 2015 the Decoration "For Beneficence". In December 2016 Russian President Vladimir Putin presented her with another national award, the State Prize of the Russian Federation, for outstanding achievements in charity and human rights activities. 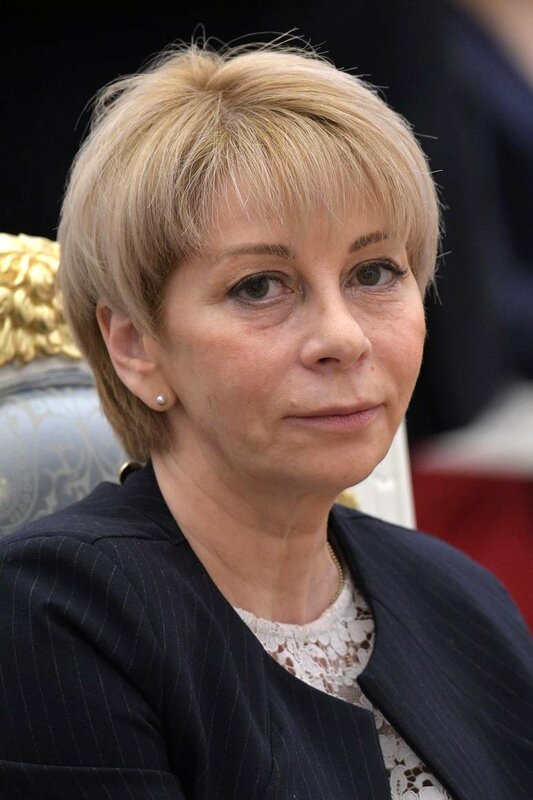 Glinka died in the 2016 Russian Defence Ministry Tupolev Tu-154 crash on 25 December 2016, while travelling to Latakia to deliver medical supplies to Tishreen University Hospital. Glinka was married to a bankruptcy attorney, Gleb Glinka. On October, 2011 Elizaveta Glinka conducted a so-called charity striptease event to collect money and clothes for the homeless. Volunteers were asked to bring clean outerwear so that professional strippers would put it on and then take it off in a dance. The event received mixed reactions, although many agreed that drawing attention to the homeless at the start of the cold season was a real problem here. In July 2016 PayPal refused to open an account for Glinka's fund that claimed to be for the care of children from ''south-east Ukraine" - as described by Izvestia. The official reasons of refusal were the "security reasons". After media lobbying on PayPal Russia, it has announced on twitter, that "all problems has been solved". In December 2016 at the air of independent TV station Dozhd, Russian publicist Stanislav Belkovsky called Glinka the spin doctor of war. He criticised Glinka, saying that, instead of her trips to war-taken regions of Ukraine and Syria, she could have just usse her already existing contacts to Vladimir Putin, from whom she has accepted the state award, to meet him and ask to end the war with Ukraine. Belkovsky claimed this makes Glinka morally responsible for the wars (like in Syria and Ukraine) that Russia is holding. This part of critical comment has been taken down by the TV station. Nevertheless Belkovsky published on Facebook a statement, that he is not surprised they did it, but he stands by what he said. Glinka and her work were the subject of a documentary films: "Doktor Liza" (“Доктор Лиза”) by Elena Pogrebizhskaya, "Вокзал по средам" by Olga Maurynova and "Встреча" by Margarita Kuklina. 2014 - international award "Faith and Faithfulness" awarded by the St. Andrew The Apostle Foundation, where the award committee is lead by the cosmonaut, Hero of the Soviet Union Oleg Atkov. The award ceremony is held in Kremlin. This award is perceived as "a symbol of public recognition of merits before Fatherland in strengthening statehood, union with countries friendly with Russia, and the restrengthening of spirituality''. - State Prize of the Russian Federation. In December 2016 Russian President Vladimir Putin presented her with another national award for outstanding achievements in charity and human rights activities. Also a rock-festival "Different People" («Разные люди») has been named after her. Elizaveta Glinka thanked for the first award and referred President`s acknowledgement to all colleagues protecting human rights. "The main right is a right on life. In this challenging time it is ruthlessly violated. It is very hard for me to see killed and injured children of Donbass, ill and killed children of Syria. We are human rights activists and we are apolitical. We are on the side of peace, dialog and cooperation with all people. I cannot but mention killed doctors in Syria, about killed doctors from Donetsk, about hundreds of killed Donbass children, and thousands of children, buried in Syria. 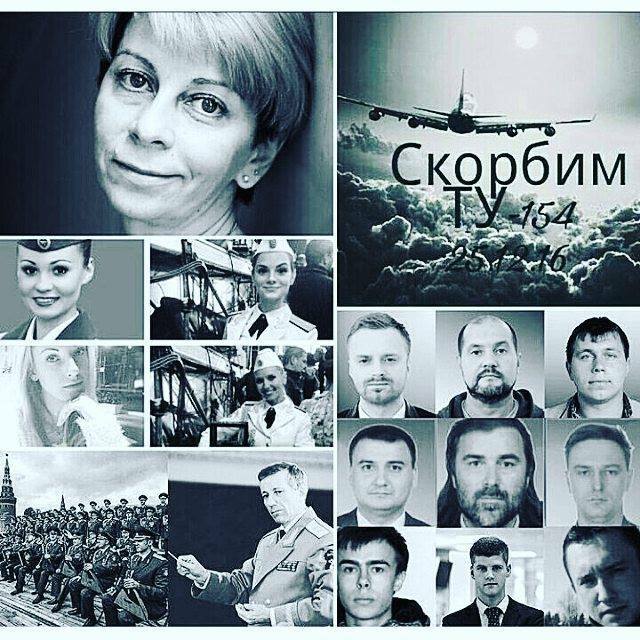 We cherish the memory of them", doctor Liza said. Glinka's statement is seen in RT News video in time 3:44. "Tomorrow I will fly to Donetsk, and then to Syria. As well as dozens of other volunteers involved in the humanitarian activities. We are never sure that we would return back alive, because war is a hell on earth. And I know what I am talking about. But we do believe that goodness, compassion and mercy are more powerful than any kind of weapons", doctor Glinka said. A member of the Russian Presidential Council for development of civil society and human rights Yelizaveta Glinka, also known as Dr. Lisa, was on board of the aircraft that crashed in the Black Sea today. Since the beginning of the war in Donbass, Dr. Lisa had evacuated 495 injured and seriously ill children to Moscow and St. Petersburg for treatment. We offer our deepest condolences to the families and friends of all those killed. This is a terrible loss and a huge tragedy for us. When war came to Donbass, Elizaveta Glinka, more known as Doctor Liza started arriving to the DPR and LPR to take wounded children or seriously ill children who needed aid of specialists. Elizaveta arrived in time of severe military actions; she took children from shelling and brought them to RF. She came to Donbass regularly and take about 20 small dwellers of Donbass.